As a family-owned and - operated business since 1994, ALS Van Lines is committed to honest, quality service and support across the board. Whether your move is residential or commercial, local or long-distance, our Marietta movers have the experience, equipment and knowledge to make your transition as smooth and efficient as possible. As a ProMover-, BBB- and GSA-accredited company, we have a variety of services and amenities to choose from, including world-class storage services. Our state-of-the-art warehousing facilities are equipped with all of the latest safety and security technology ensuring your peace-of-mind. We can also accommodate short-term and long-term requests -- making the process of storing your belongings simple and stress-free. Furthermore, to ensure that each aspect of your transition goes according to plan, ALS assigns a dedicated Move Coordinator to your account. This individual will provide you with a written, accurate estimate of all moving costs as well as continuous guidance and support throughout the entire process. Planning a household or business move in Marietta doesn’t have to be a stressful process—just let the experts at ALS Van Lines handle all the details! If you’d like to learn more about how our experienced moving company can assist with your next move, give us a call today. You can also connect with a Customer Support Specialist by filling out our online form and requesting your free, no-obligation estimate. Book your move with ALS Van Lines and receive up to four FREE mattress bags! Very professional and courteous. They took care of my stuff and they worked in very timely manner. 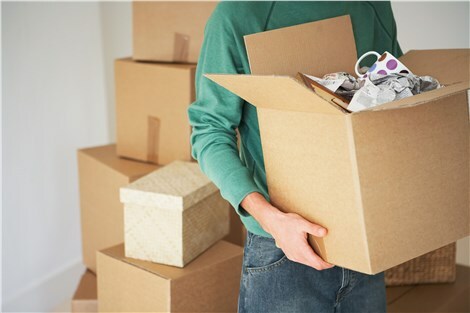 Book your move with ALS Van Lines and claim up to 15 free recycled boxes. There's never been a better time to make your move!